Is there any policy proposal more “extravagant” than Alexandria Ocasio-Cortez’s Green New Deal? Under the guise of environmentalism, the plan promises free money for those unwilling to work, free healthcare, a guaranteed job, new or retrofitted homes for all, a shiny new high-speed rail system, and a litany of wasteful spending. It’s estimated that this plan could cost a whopping $93 trillion. In 2012, newly announced presidential candidate Congressman Beto O’Rourke said that the US had an “extravagant government” that required “significant” spending cuts, reports CNN. He said that debt was “out of control.” He wanted to cut spending and balance the budget, reports Politico. Apparently, things have changed for the former Congressman. 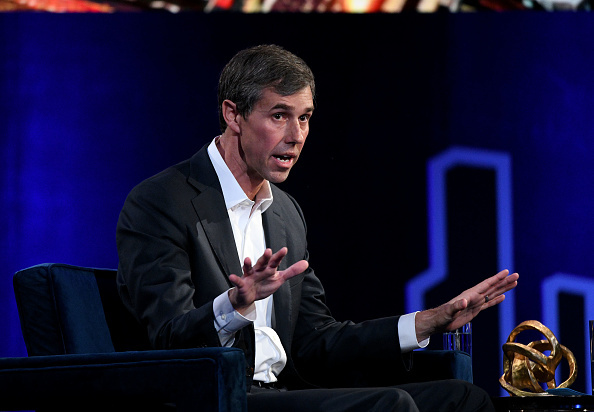 In January, Beto began embracing the Green New Deal, declaring that he was “supportive of the concept.” In February he doubled down and called the Green New Deal the “best proposal” he has seen, adding he is “really excited” by the plan that would socialize our economy and decimate our energy industry. This is a major flip-flop. It’s one thing to have been a consistent tax-and-spend liberal. It’s another to claim you’re a deficit hawk while at the same time backing an expensive, lavish and dangerous plan unprecedented in American politics. It’s another sign that O’Rourke, especially when it comes to energy issues, is no moderate.